Last week, the ad industry celebrated itself at the Cannes Lions International Festival of Creativity. The annual event is a conference, a schmooze fest, a gigantic party, and — most prominently — an award show. I’ve written before how advertising award shows are, largely, a money-making scam. 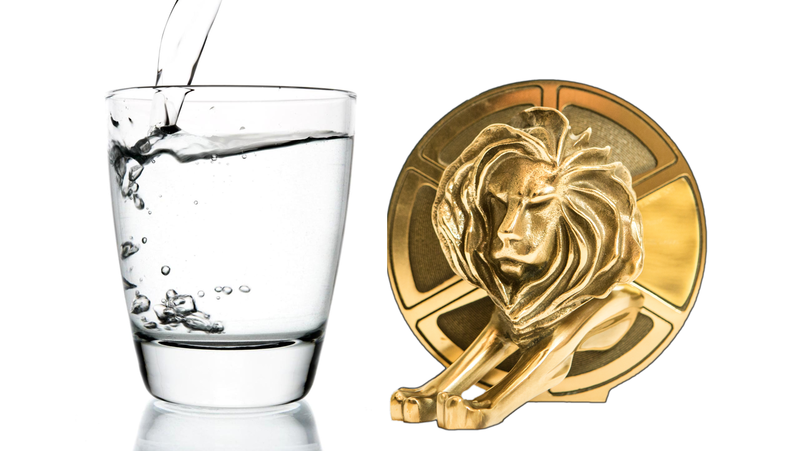 (Cannes Lions generated $72 million in revenue last year!) And I’ve even made some practical suggestions on how to fix Cannes. But this year, the communication trickling out from the South of France seemed particularly thirsty. The desire for recognition seemed to veer toward need and it felt a little sad. But to what end, really? As much as ad people like to say that Cannes is our version of the Oscars, they really aren’t. While the number of Academy Awards has varied from year to year, the prime-time show now hands out awards in 24 categories. That’s 24 gold statues.This year, Cannes Lions handed out (by my count) 1,667 awards. More than 3,900 entries made the “shortlist” this year. That’s a far cry from the 5–10 nominees in each Oscars category. Numbers aside, it all rings a little hollow. For example, one of the big winners at this year’s show was 180LA for their “Boost Your Voice” campaign. It’s a great idea — turning the Boost Mobile stores into polling places for the 2016 election. It won a whole bunch of Lions, including two Grand Prixs, and prompted many celebratory posts from the agency leaders. But while they industry pats itself on the back for such a wonderful idea that did so much for democracy, we’re a couple days away from the Republican Congress taking healthcare away from millions of Americans. I don’t mean to poop on 180. They deserve to celebrate their win. But the disconnect between the praise the effort received and the REAL WORLD results of the election (ie. we elected a narcissistic shitgoblin as President of the United States) made me feel like maybe we’ve lost the plot of what advertising is supposed to do. The main problem with all this froth around the Lions is that we’re teaching a generation of up-and-coming creatives that THIS is what they should care about. As if this not-so-rare piece of metal represents any sort of career or personal validation. But even if you disagree, I think we’d all be better served by being just a little less eager about the whole award show thing. Wieden+Kennedy does some of the best work in the business and they win a ton of awards, but they tread lightly on the award-hype in social media. In other words, they act like they’ve been in the endzone before. Desperation is a bad look. If you’re going to be thirsty for anything in this business, be thirsty for real-world results over trophies. John Kovacevich is a creative director and writer based in San Francisco. This year during Cannes Lions week, he went to Disneyland with his wife and kids, where a bottle of water costs almost as much as a glass of rosé on the Croisette. If you liked this, hit that handclap thing-y below, will ya?